Home » Blog » Garfield Chef Special Mother’s Day Treat! 05 MayGarfield Chef Special Mother’s Day Treat! Hug your mom for me today. 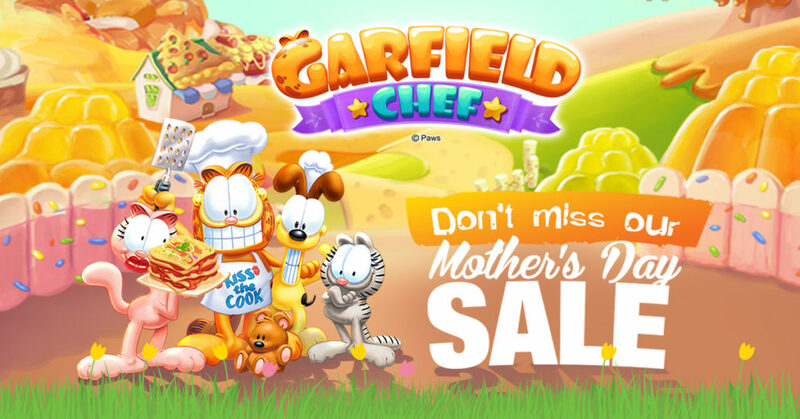 And celebrate at least 50% off on all IAP packages for Garfield Chef from May 5-13! Share the joy and cuteness of Garfield Chef and bond over how many matches you can make in game. Happy Mother’s Day!